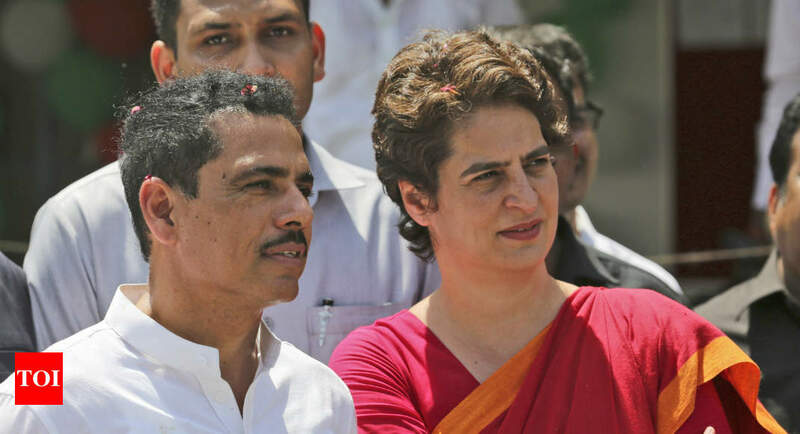 NEW DELHI: Amid intense speculation that Priyanka Gandhi Vadra may take on Prime Minister Narendra Modi in Varanasi, her husband Robert Vadra said the AICC general secretary was a hardworking person in which people saw an agent of change. Speaking to reporters, Vadra replied in affirmative when asked if Priyanka would be a good candidate against Modi. “She will work hard. People want change and they see it in her and Rahul Gandhi,” he said. The comments from a member of the Gandhi family are set to further stoke speculation that Congress is looking to make Varanasi into a “Priyanka vs Modi” contest. While there is no confirmation yet about the possibility, many believe it can happen if SP and BSP, the principal anti-BJP parties in UP, agree to back Priyanka as a common candidate. The idea behind any such move would be to raise the threat of challenge to Modi in Varanasi to try tying him down to the constituency.